Richard Royal, a faculty member of the Pilchuck Glass School, has pushed the limits of large scale blown glass sculpture for the past twenty five years. 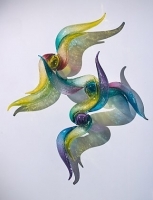 Richard was the first Artist in Residence at the Waterford Crystal Factory in Waterford, Ireland in 1998 and 1999. 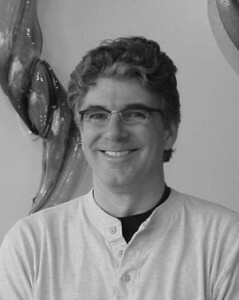 His work is included in numerous permanent museum collections including the Mint Museum of Art and Crafts in Charlotte, North Carolina; the Daiichi Museum in Nagoya, Japan; and the High Museum of Art in Atlanta, Georgia. 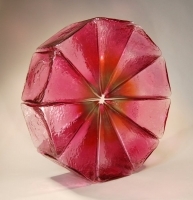 A past grant recipient from the National Endowment for the Arts, Richard has recently served as a visiting artist at the Corning Museum of Glass, the Haystack Mountain School of Crafts, Ohio State University and the University of Hawaii at Manoa. His work is also represented in numerous international public and private collections including the IBM Collection, the Safeco Collection, and the Westinghouse Collection in Muskegan, Michigan.